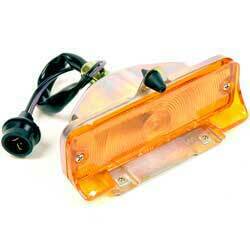 Classic Industries offers a wide selection of Park/Turn Lamps for your Chevrolet Chevy II Nova. Classic Industries offers Chevrolet Chevy II Nova Bezels & Trim Rings, Chevrolet Chevy II Nova Bulbs, Chevrolet Chevy II Nova Gaskets, Chevrolet Chevy II Nova Hardware, Chevrolet Chevy II Nova Housings, Chevrolet Chevy II Nova Indicators, Chevrolet Chevy II Nova Lenses, Chevrolet Chevy II Nova Park Lamp Assembly, Chevrolet Chevy II Nova Retainer Rings, and Chevrolet Chevy II Nova Wiring Pigtails. Reproduction of the original park lamp assemblies for 1963-64 Chevy II/Nova models. Each park lamp includes the housing and lens. 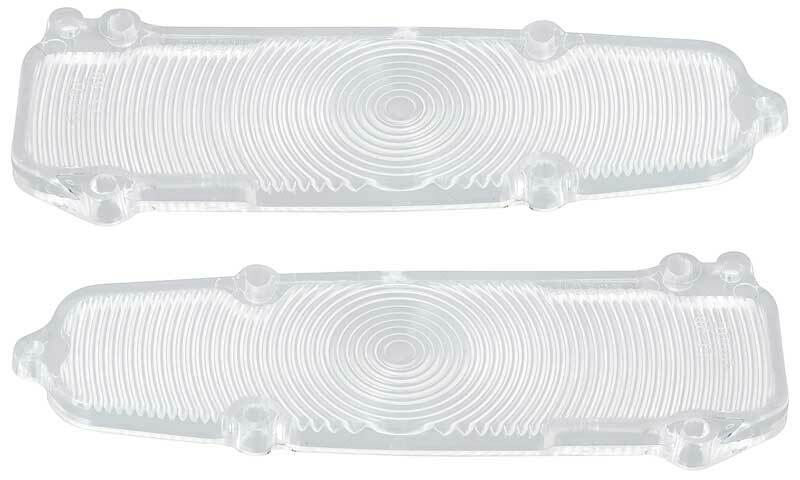 Reproduction of the original park lamp lenses for use on 1963-64 Chevy II/Nova models. This reproduction features correct guide markings as original. Sold in pairs. Reproduction park lamp assemblies for 1965 models. Each park lamp includes the housing, lens and wiring for a complete replacement. Correct replacement gaskets for 1965-67 Chevy II/Nova models. Sold in pairs. Reproduction of the original park lamp lenses for use on 1962 Chevy II/Nova models. This reproduction features correct guide markings as original. Sold in pairs. Reproduction park lamp assemblies for 1966-67 models. Each park lamp includes the housing, lens and wiring for a complete replacement. If you need to replace your lamp socket and wiring, look no more! 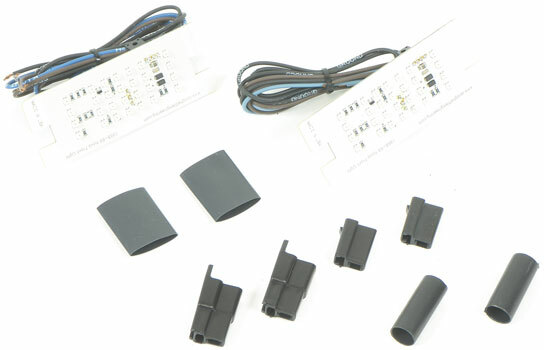 We offer these replacements which are guaranteed to fit and work the same way the originals did. Reproduction park lamp assemblies for 1962 Chevy II/Nova models. Each park lamp includes the housing and lens. Reproduction of the park lamp lens for 1966-67 Chevy II/Nova models. Molded in UV stable acrylic to guard against color fade, these excellent reproduction lenses also feature correct Guide markings as original. Sold in pairs. Correct replacement gaskets for 1968-69 Chevy II/Nova models. Sold in pairs. 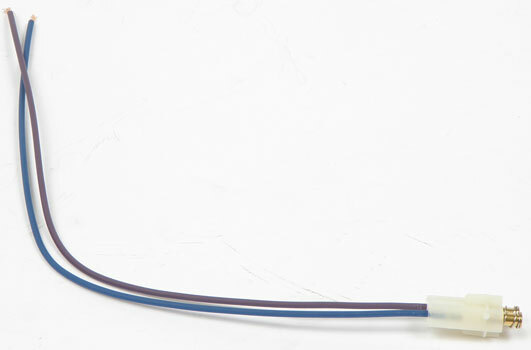 This reproduction pigtail is just what you need to get your Camaro front lighting back in order. Reproduction of the park lamp lens for 1965 Chevy II/Nova models. This reproduction is manufactured in the proper color UV stable acrylic and features correct Guide markings as original. Sold in pairs. Reproduction of the park lamp lens for 1968-69 Chevy II/Nova models. This reproduction is manufactured in the USA and features correct Guide markings as original. Sold in pairs. 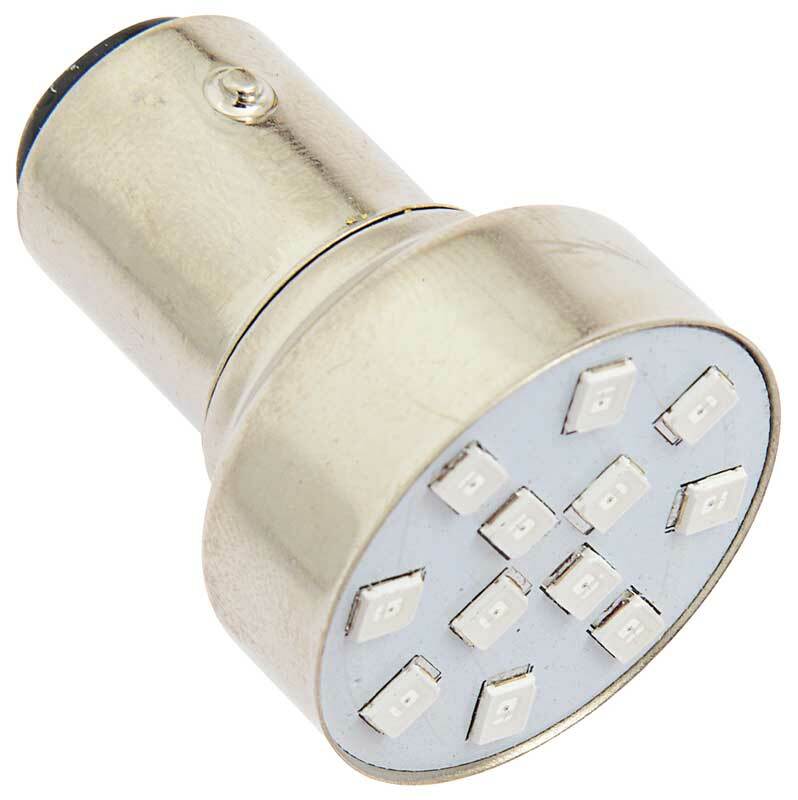 Replacement bulb for a variety of applications. Applications may vary depending on vehicle model and year. Reproduction of the original chrome park lamp bezels for 1963-64 Nova models. Can also be installed on 1962 models. Correct replacement gaskets for 1962-64 Chevy II/Nova models. Sold in pairs.